Costa Rica and China signed a cooperation agreement on Monday regarding the Silk Road Economic Belt, a Beijing initiative that aims to encourage trade and investment. The pact, launched in 2013 by the then Chinese President Xi Jinping, looks at the exchange of goods, technology, capital and personnel with more than 103 countries and organizations. The Costa Rican Chancellor and Vice President, Epsy Campbell, highlighted that the agreement reflects the approach that the two countries have had since they established diplomatic relations in June 2007. “Due to the complementarity between our countries, we emphasize the importance of this document in relation to financing, infrastructure and commerce,” said Campbell. 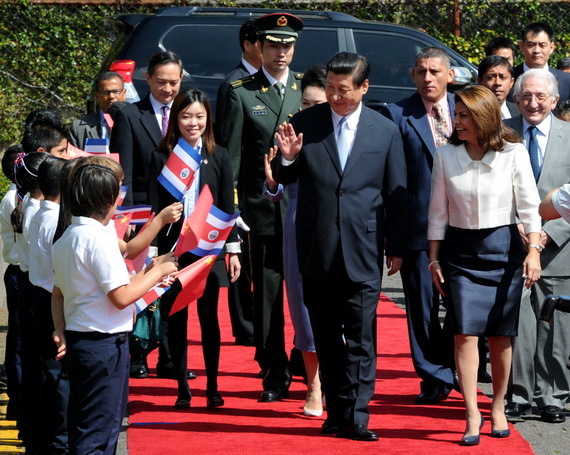 Costa Rica was the first Central American country to break ties with Taiwan and establish relations with China. Since then, Panama and El Salvador followed the same path. According to the Costa Rican Foreign Ministry, the agreement will allow the promotion of exchanges in the construction of roads, railways, civil aviation, harbors, energy, and telecommunications, as well as expanded trade and investments. The Costa Rican Chamber of Exporters celebrated the agreement with China, which has become a key destination for Costa Rican sales, which reached $111 million in 2017.